The Detroit Auto Show is ready to begin this week, where the biggest names in automobiles are set to unveil their newest rides. CES 2016 wrapped up what was an incredible showcasing of electric and autonomous concept cars that included Volkswagen’s BUDD-e minivan. 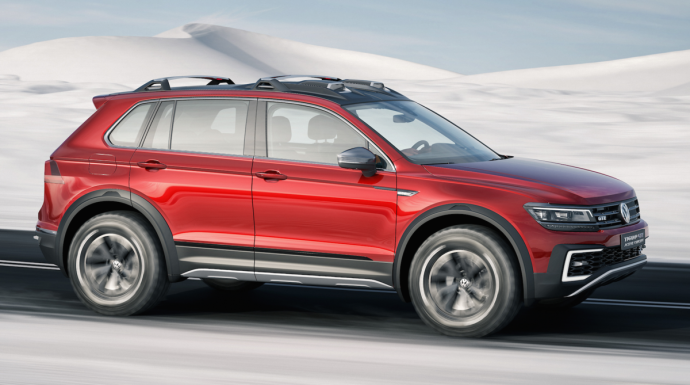 VW will now move to Detroit where it is ready to unveil the Tiguan GTE Active concept. The concept SUV is a beast that is designed to trample anything in its path. The 221-horsepower hybrid is also eco-friendly, much like the BUDD-e. 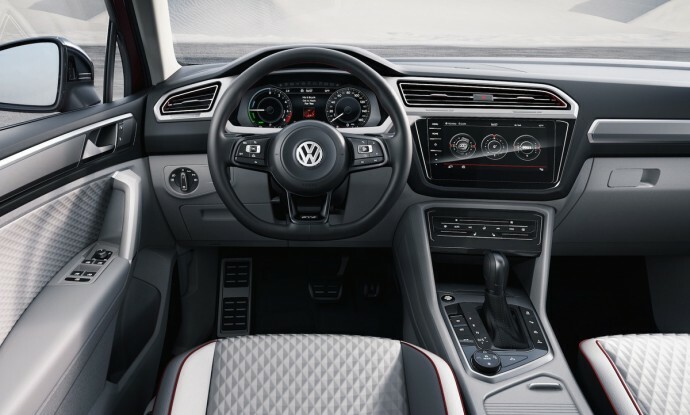 The second-genration Tiguan comes with gasoline engine combined with an electric motor and a 6-speed dual-clutch automatic transmission under the hood. The rear wheels are controlled by an electric motor. All these combined is what VW calls an “electric driveshaft”, which makes the Tiguan GTE Active an efficient all-wheel drive. The hybrid works in such a way that it starts its journey in an all-electric E Mode, that moves the car using the energy from the Li-ion batteries for about 20 miles on electrons alone. After this, the gasoline engine kicks in that power the all-wheel drive, acting as a generator for the rear electric motor to power the rear wheels. At any given moment after the gasoline engine comes in, the crossover can be driven by the front, rear, or all wheels. The SUV comes with an aluminum underbody complete with skid plates and a ground clearance of 8.9-inches. The inside of the Tiguan GTE Active is big on tech. The vehicle sports a 9.2-inch infotainment touchscreen that also features gesture controls. The SUV also comes with Apple Car Play and Android Auto capabilities. 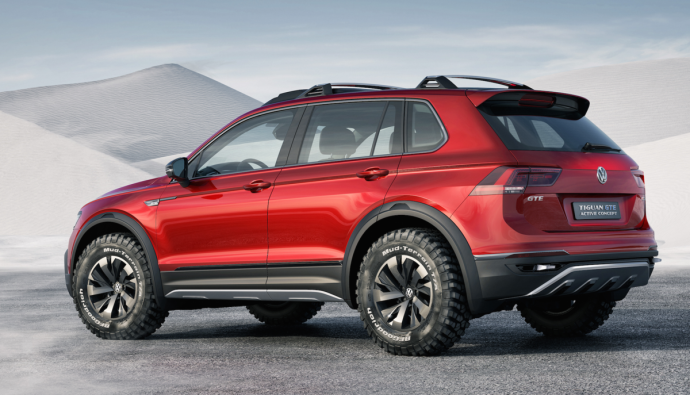 No official word on when the Tiguan GTE Active will be production ready. You can also be rest assured that the concept isn’t just designed to get the public off the dieselgate scandal. This along with the BUDD-e symbolize VW’s effort into remaking its name. And from what we’ve seen so far, their efforts are being recognized. Is it available in South Africa in auto?